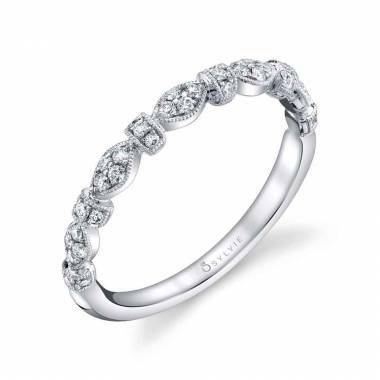 Make your own personal statement by matching this floral inspired stackable band with your beautiful engagement ring! 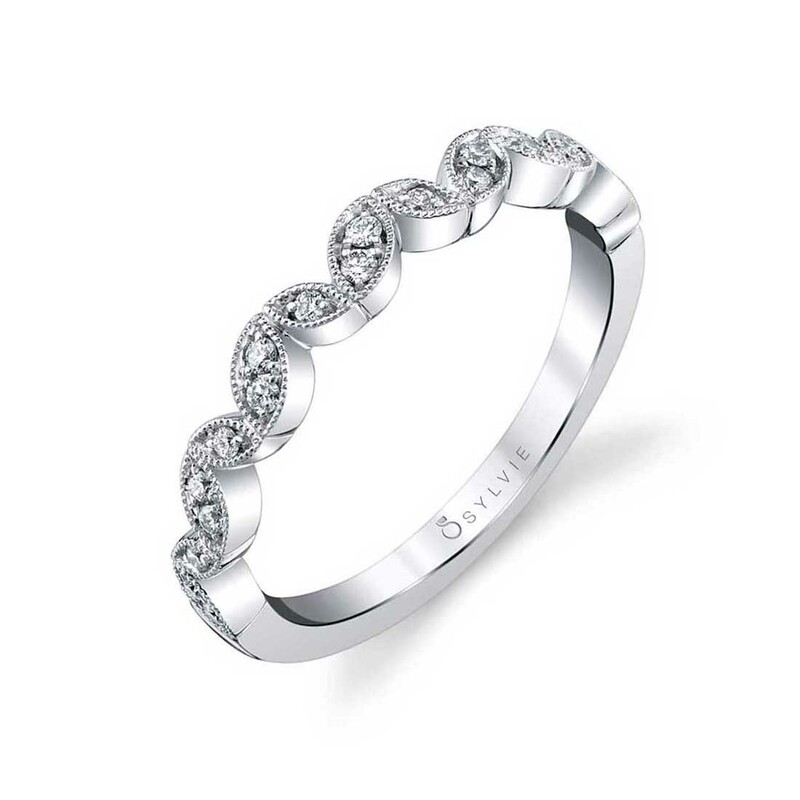 This whimsical wedding band features 0.13 carats of shimmering diamonds in various petal shapes with milgrain beading. 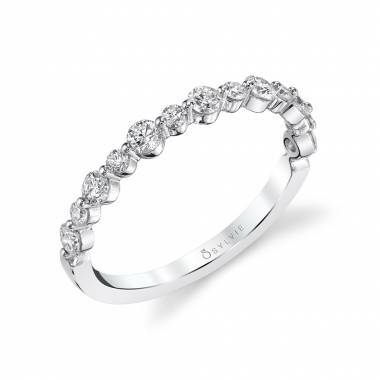 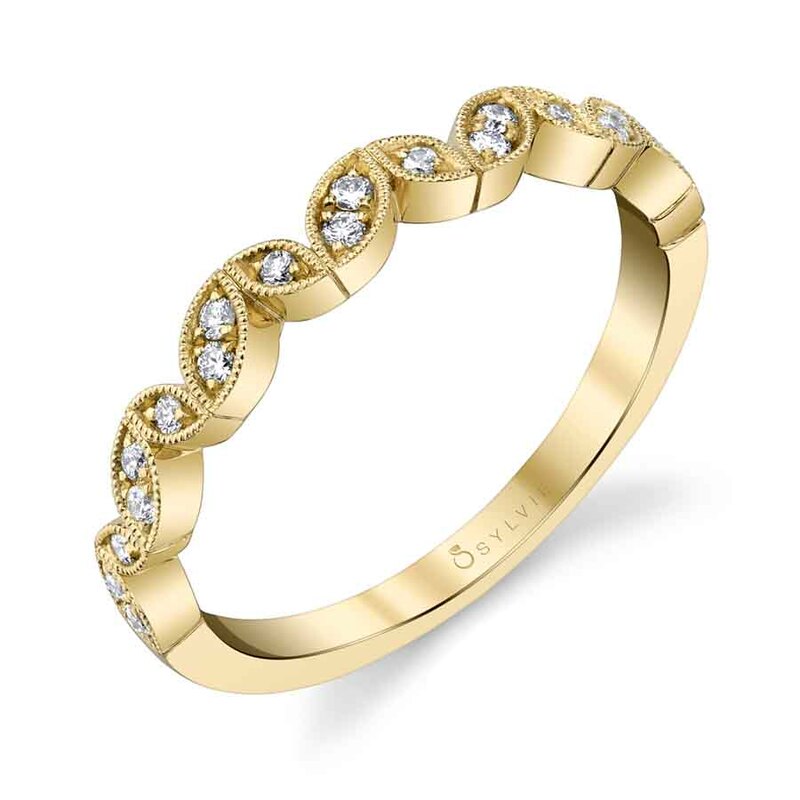 Stack this enticing white gold band with other favorite bands for a unique and trendy mixed metal look.